In this post I’ll outline how I became organizer of Ionic Denmark, and why this is such a good idea. In a work-related context I recently had the opportunity to get chance to play around with Ionic. And it was love at first sight. There are so many aspects of Ionic, that I find attractive. I’ll cover many of these in the first meetup. I’m no expert, but I’d really like to learn more about Ionic, so this motivates me into starting a meetup for Ionic, Ionic Denmark. It was by a co-incidence that I started this meetup. I saw a tweet from @ionicframework about a scheduled meetup in @ionicpoland. 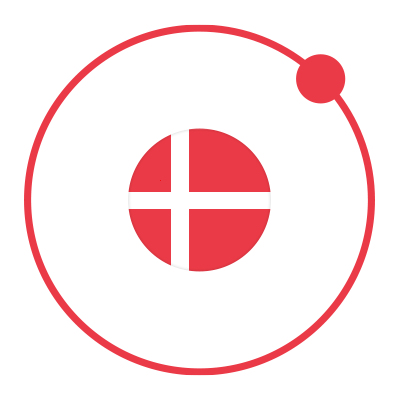 I thought there might also be a meetup about Ionic in Denmark. But, unfortunately, no. There is no user group nor meetup about Ionic, so one thing let to another, and I picked up the @ionicdenmark Twitter handle. I asked @ionicpoland were they had their awesome logo from. They replied that @katiegv, marketing and communications manager of Ionic, was the one to talk to. I got in contact with Katie, who informed me that Ionic has a complete setup for starting and supporting meetups. The logo is designed by @benjsparry, one of the co-founders of Ionic. We just received it a couple of days ago. I started a meetup at meetup.com. I’ve used meetup.com as an attendee on other meetups, but never as an organizer, but it has really been a pleasure. I like the tool and its different features. We have already scheduled the first meetup. Which will be on the 12th of August in Århus. The plan is to re-run this meetup in Copenhagen some time during September. The ambition is that we try to cover both Århus and Copenhagen with the same meetups. It can be difficult, and it depends on the event host, whether he/she will do the meetup both places. In the first meetup we will cover hybrid apps in general and dig into the world of Ionic. This deep dive will take the audience around how to get started, tooling, the framework, etc. I really hope to get this meetup up and running, so please register at meetup.com and join us.